East Orange, New Jersey: As warm temperatures continue to impact Essex County residents, several municipalities have opened facilities so that members of the general public can stay cool. In East Orange, the City has announced that the three municipal pools will be free and open to all this Saturday, August 1st. Swimmers will be admitted to Columbian, Elmwood, and Francis-Haire Pools at no charge from 12:00pm to 5:00pm. A recreation badge is normally required to enter these pools. The Columbian Pool is located within Columbian Park off of Springdale Avenue, between North 22nd and South Grove Streets, Elmwood Pool is located within Elmwood Park on Oak Street, between Rhode Island and Elmwood Avenues, and Francis-Haire Pool is located within Francis-Haire Park on South Grove Street. In addition, the Rowley Park Spray Ground for children, located at North Arlington and William Streets, is open daily for free. Click here to learn more, or call (973) 414-4141. Essex County, New Jersey: Several Essex County municipalities will celebrate National Night Out on Tuesday, August 4th. The annual event, which is supervised by the National Association of Town Watch (NATW), has been held in communities across the country since 1984. According to NATW, "National Night Out is an annual community-building campaign that promotes police-community partnerships and neighborhood camaraderie to make our neighborhoods safer, better places to live". Foley Field, located off of JFK Drive, will be the site of Bloomfield's National Night Out celebration. There will be live music, free food, and a softball game. The festivities will begin at 5:30pm. There will be several community events throughout the city. From 5:00pm to 7:00pm, there will be a celebration at the East Orange Farmers Market, located at the corner of Halstead Street and Central Avenue. Councilwoman Andrea McPhatter and Councilman Christopher James will sponsor a celebration at Soverel Park, located off of Springdale Avenue, from 1:00pm to 10:00pm. In addition, the Terraces Block Association, Councilman Ted Green, and Councilwoman Quilla Tamadge will host a National Night Out event at 116 Rhode Island Avenue from 6:00pm to 9:00pm. To learn more, call (973) 266-5120. The Fairfield Police Department and the Fairfield Municipal Alliance Committee will sponsor a National Night Out Block Party from 5:00pm to 9:00pm on Hollywood Avenue between Annette Road and Kennedy Drive. Residents can meet the men and women of the Fairfield Police Department while enjoy free food, games, and activities for people of all ages. To learn more, call (973) 227-1400. The Glen Ridge Voice reports that the Glen Ridge Police Department will celebrate National Night Out at the Glen Ridge Community Pool on Clark Street from 5:00pm to 7:00pm. Irvington Mayor Tony Vauss, the Irvington Police Department, and the Irvington Fire Department will host a celebration of National Night Out from 5:00pm to 8:00pm outside of the Municipal Building, located at 1 Civic Square. There will be a variety of activities, in addition to free food, drinks, and giveaways. To learn more, call Officer Barnwell of the IPD at (973) 399-6533. Livingston will celebrate National Night Out at the Memorial Oval, located off of South Livingston Avenue. There will be a dunk tank, live music, video games, rides, exhibits, free food, and a helicopter landing. The events will begin at 5:30pm. The Maplewood Police Department will celebrate National Night Out at DeHart Park on Burnett Avenue from 6:00pm to 9:00pm. There will be displays of police equpment and a video game truck. Celebrations will be held from 5:00pm to 7:00pm at the Community Center on Pine Street, the Salvation Army on Trinity Place, Edgemont Park on Valley Road, and St. James Church on Valley Road. 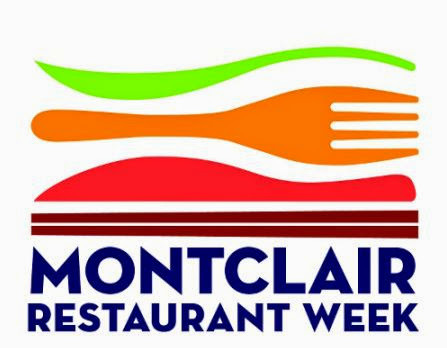 A Montclair Police Department motorcade will visit each location. A caravan that will tour the city will leave from the Freddie Polhill Law and Justice Complex, located at 29 Park Street, at 5:30pm. To reserve a seat, send an email to sotoo@ci.orange.nj.us. Residents are encouraged to join the caravan, which will be led by officers from the Orange Police Department, Orange firefighters, merchants, and employees of the City. National Night Out is a major community event in South Orange, and the event will be even bigger this year. From 6:30pm to 10:00pm, locals will come to Flood's Hill on Meadowbrook Lane to enjoy live music, meet local officials, and watch 'Big Hero 6'. There will also be a public safety fair, bounce houses and activities for kids, and giveaways of t-shirts and other items. In addition, a NorthSTAR Medevac Helicopter will land at Flood's Hill between 6:40pm and 7:00pm. Newark, New Jersey: A small business event will be held at the Jehovah Jireh Praise and Workshop Church Center in Newark on Tuesday, August 4th, from 6:30pm to 9:00pm. The West Ward Small Business Fair will be presented by the City of Newark, the Newark Department of Economic and Housing Development, and the Newark Community Economic Development Corporation as part of the Model Neighborhood Initiative. Local business owners can meet with representatives from the City to discuss permits, licenses, technical and financial assistance programs, and strategies and ways to grow small businesses. The event will be free and open to the public, and light refreshments will be served. The Jehovah Jireh Praise and Workshop Church Center is located at 505 South 15th Street between 15th and 16th Avenues. There is street parking in the area, and transportation is available using New Jersey Transit's 1 Bus from Downtown Newark and Ivy Hill. Click here to learn more. Newark, New Jersey: Two chain restaurants will open locations in Newark's Lower Broadway neighborhood. Franchises of Wingstop and Subway will open in the new shopping plaza on Clay Street between McCarter Highway/Route 21 and Passaic Street. The Newark Wingstop location will be the first in Essex County for the airplane themed Dallas, Texas-based chain, and the second location in New Jersey. The other New Jersey location opened in the Elmora section of Elizabeth, Union County in July, 2014. Wingstop locations serve chicken wings, fries, and other items. Connecticut-based Subway is no stranger to Newark and Essex County. 16 locations of the international chain already operate within the Newark city limits. The shopping plaza has 31 parking spaces, and is located within a short walk from New Jersey Transit's bus stops on Broad Street. The plaza was built on a vacant lot that had been gated off for several years. Construction on the plaza began in 2013. Click here to learn more. Newark, New Jersey: A new sandwich shop has opened in Downtown Newark. Jimmy John's Gourmet Sandwiches opened on Wednesday at 95 Halsey Street, between Warren and Linden Streets. The space now occupied by the restaurant had been vacant for several years until the building was renovated. This is not the first Essex County location for the Champaign, Illinois-based chain, which has seen growth in the New York Metropolitan Area in recent years. There are other locations in Roseland and Montclair. Bloomfield, New Jersey: A sporting goods store and a food market will open in Bloomfield. According to Welco Realty, Modell's Sporting Goods and Aldi will open locations at the Hartz site, located at 192 Bloomfield Avenue, near the corner of Watsessing Avenue. Hudson County-based MadRag is also proposing to open a location at the site, according to Bloomfield Pulse. Modell's Sporting Goods, which is based in Manhattan, currently operates stores in 9 states and the District of Columbia. The only current Essex County location is within the Livingston Mall in Livingston. A location on Market Street in Downtown Newark closed recently. However, there are Modell's Sporting Goods locations in towns that border Essex County. Union and Elizabeth in Union County, Jersey City and Kearny in Hudson County, Clifton and Little Falls in Passaic County, and Parsippany in Morris County each have a Modell's Sporting Goods location. Locations of Essen, Germany-based Aldi mostly sell private-label items at discounted prices. This will be the first Essex County location for the international chain, though there are Aldi locations in nearby Union, Union County and Passaic, Passaic County. Aldi competes with supermarket chains like Save A Lot, which operates a location in Newark's Central Ward. According to the Township of Bloomfield, the site was once home to a Hartz pet food manufacturing facility. Hartz closed the plant in 2011, and moved operations to Shelby, Ohio. All of the employees were laid off. The area was declared to be an area in need of rehabilitation. The site is located between the Watsessing Avenue Station on New Jersey Transit's Montclair-Boonton Line and the Grove Street Station on the Newark Light Rail. The area is also served by New Jersey Transit's Go Bus 28 and other local bus routes. Newark, New Jersey: The Boys & Girls Club of Newark is looking for volunteers to help out at the Newark Bike Exchange from 12:00pm to 3:00pm on Saturdays August 1st, 8th, 15th, 22nd, and 29th. The Newark Bike Exchange is a non-for-profit shop that sells and repairs new and used bicycles and equipment, and hosts community events. According to Newark-based charity Jersey Cares, volunteers can be bicyclists, local residents, groups, families, and individuals. Volunteers are needed to help clean and maintain bikes, greet and help customers, and educate customers about general bike safety. All volunteers should be at least 18 years old. Children who wish to volunteer at the Bike Exchange must be accompanied by a parent. Click here to register. The Newark Bike Exchange is located in Downtown Newark at 239 Washington Street. To learn more, call (973) 483-0777 or send an email to bikeexchange@bgcn.org. The shop is open daily except for Monday and Tuesday. There are other Bike Exchange locations in Trenton, Plainfield, and New Brunswick. This sign high above Market Street in Downtown Newark is what remains of Howard Clothes, which was once a Newark shopping institution. 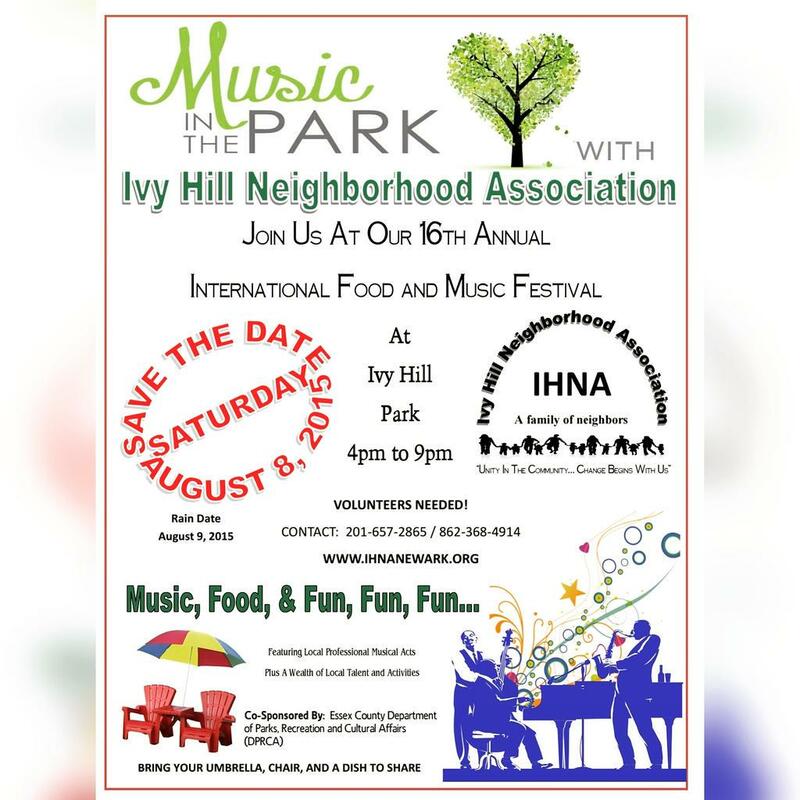 Newark, New Jersey: The Ivy Hill Neighborhood Association's 16th Annual International Food and Music Festival will be held on Saturday, August 8th, 2015 at Ivy Hill Park from 4:00pm to 9:00pm. The rain date is the following day. Attendees should bring an umbrella and chair to watch the live music, and a dish to share with their neighbors. Volunteers are needed for the festival. To sign up, call (201) 657-2865 or (862) 368-4914. The event will be co-sponsored by the Essex County Department of Parks, Recreation and Cultural Affairs, and will be a part of the Essex SummerMusic series. Ivy Hill Park is located on Mount Vernon Place along the border of South Orange and Newark's West Ward. Transportation is available using New Jersey Transit's Ivy Hill Bus Loop, which is served by Bus 1 from Downtown Newark and Jersey City and Bus 107 from South Orange, Irvington, Newark's South Ward, and New York. Click here to learn more. Roseland, New Jersey: The Essex County Environmental Center in Roseland will present BuzzFest on Saturday, August 1st, from 11:00am to 1:00pm. The cost is $5 for attendees ages 2 and up, and admission is free for all others. Attendees will meet with an area beekeeper and watch as he extracts honey, which participants will be able to sample. There will also be crafts and games, and information about bees and their challenges will be shared. The event is open to people of all ages, but pre-registration is required. To register, call (973) 228-8776. Click here to learn more. The Essex County Environmental Center is located at 621 Eagle Rock Avenue, west of Eisenhower Parkway near the Morris County line. This photo shows the former Paramount Theater on Market Street in Downtown Newark. This photo was taken in Downtown Newark. This photo shows South Orange's Village Hall on South Orange Avenue. The building will be turned into a restaurant. Village offices are now located across South Orange Avenue. Newark, New Jersey: The City of Newark will celebrate 350 years in 2016, and a variety of programs will be held to commemorate the history of New Jersey's largest city. The Newark History Society will sponsor programs in 2015 and 2016 at the New Jersey Historical Society and at the Chase Room of the New Jersey Performing Arts Center, according to Timothy Crist, the organization's president. On Monday, October 19th, there will be a kickoff for the 350th Anniversary celebration at NJPAC's Chase Room at 6:00pm. There will be presentations about how Newark's 250th and 300th anniversaries were celebrated, and an overview of the plans for the 350th anniversary celebration will be given. On Monday, November 16th at 6:00pm, there will be a program at the New Jersey Historical Society about music in Newark in the early 1900s. Information about Newark composers Jerome Kern and Ralph Rainger will be shared. In 2016, there will be programs about the former Jewish community in Newark's Weequahic neighborhood and about how Newarkers reacted to events in the colonial period. On June 20th, 2016, there will be a panel discussion called 'Progressives and Reformers: Newark Takes the Lead'. Three panelists will discuss reforms that were made to education, infrastructure, and cultural institutions at the turn of the 20th century. The moderator will be George Robb, and the panelists will be Steven Diner, a former chancellor at Rutgers-Newark, Ezra Shales, a professor at the Massachusetts College of Art and Design, and Elizabeth Aaron, the principal of Columbia High School in Maplewood. Each of the five events will be free and open to the public. The New Jersey Historical Society is located at 52 Park Place and the New Jersey Performing Arts Center is located on Center Street. 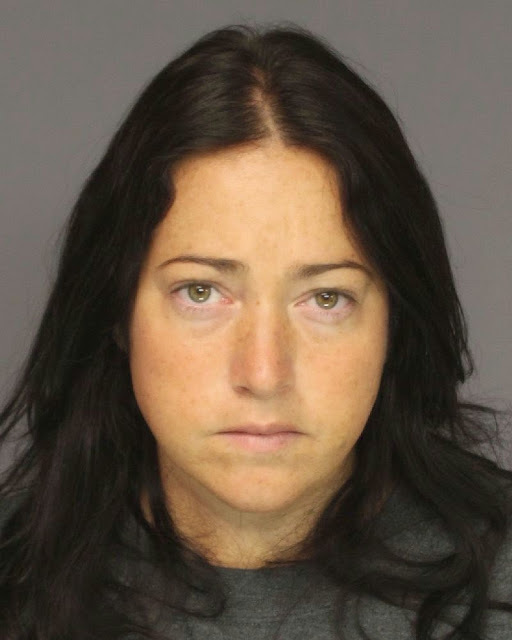 Maplewood, New Jersey: Former Columbia High School Language Arts teacher Nicole Dufault, of Caldwell, continues to face dozens of charges in connection with the alleged sexual assaults in 2013 and 2014 of six students. This week, her attorney, Timothy Smith, of Caruso Smith Picini in Fairfield, said in a statement that frontal lobe syndrome "has rendered her (Dufault) defenseless to over-aggressive behavior, and that is exactly what she was exposed to". Dufault was reportedly diagnosed with the syndrome after undergoing brain surgery at a local hospital. When she was still teaching, Dufault told her students that she only felt pain as a result of her illness during rainfall, and that doctors recommended that she move to Arizona. Dufault also told students in the beginning of the 2013-2014 school year that she planned to file a lawsuit against the hospital where she underwent brain surgery. "We continue to prepare for trial so our juvenile victims may find the justice they are seeking", said Gina Iosim of the Essex County Prosecutor's Office in a statement responding to Smith's comments. All of the alleged victims were under 18 at the time of the incidents. Dufault was released from the Essex County Correctional Facility in Newark in late October, 2014 on $500,000 bail. Montclair, New Jersey: Chester County, Pennsylvania-based grocer ACME Markets is planning to return to Essex County for the first time in 15 years. The supermarket chain, which is owned by Albertsons LLC, is intending to purchase dozens of A&P, Super Fresh, and Pathmark locations throughout the Northeast, including two in Essex County. A&P, Super Fresh, and Pathmark are owned by The Great Atlantic and Pacific Tea Company, which filed for bankruptcy earlier this week for the second time in ten years. According to ACME Markets, the A&P Fresh in Upper Montclair, located at 510 Valley Road, and the Ironbound Pathmark, located at 281-295 Ferry Street in Newark, are supermarkets that the company seeks to acquire in Essex County. Most ACME Markets in Northern New Jersey closed in the late 20th century and early 2000s, with the exception of stores in Morris Plains and Randolph in Morris County and Clifton in Passaic County. The Clifton store closed earlier this year. According to Acme Style, an independent blog about ACME Markets, there used to be several ACME locations in Montclair and a location in Orange. The last remaining Montclair store closed in 2000, and is now a CVS/pharmacy location. There was also a location in Verona. Orange, New Jersey: The 16th Annual Orange Caribbean Festival will be held on Saturday, August 8th from 12:00pm to 7:00pm at Monte Irvin Orange Park. The event, themed "a Taste of Home", is free and open to the public. This "celebration of culture, music, and dance" will be sponsored by Mayor Dwayne D. Warren, Esq. and the Orange City Council. There will be live music, performances, and cuisine from local businesses and restaurants. More than 3,000 people attended last year's event. "Our Caribbean communities know how to throw a party", said Mayor Warren. Monte Irvin Orange Park, an Essex County park, stretches from the corner of South Center and Harrison Streets to Central Avenue, near the East Orange and South Orange borders. Click here to learn more.